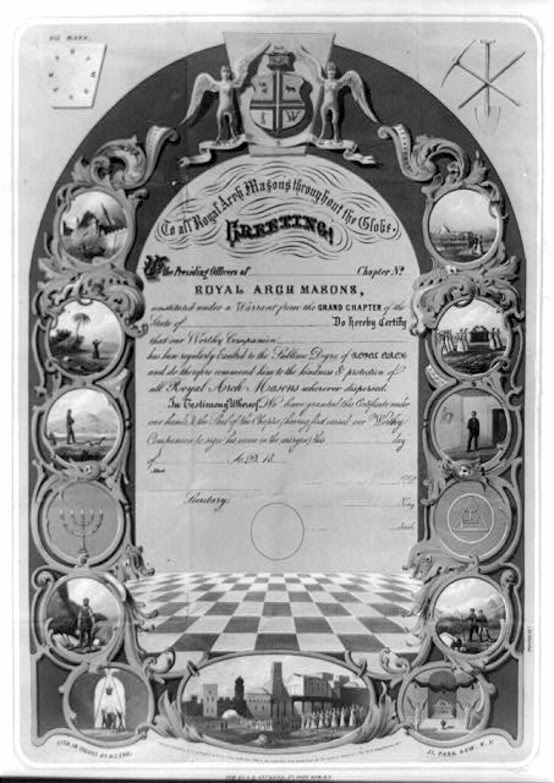 When the term patent is used in Freemasonry, most will think of a certificate of membership in one of the Masonic bodies. It is used as proof of membership, especially when a brother may travel from one jurisdiction to another. But did you know that the United States Patent Office can grant you a Masonic patent? Not for membership in a Masonic body, but if invent something that is deemed worthy of a government patent. Many years ago, especially in the golden age of fraternalism, several patents were issued for inventions that were related to freemasonry. 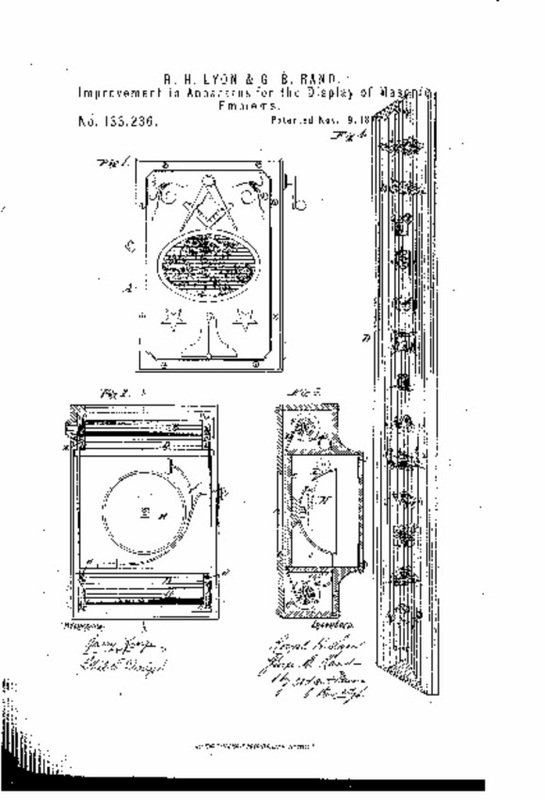 Patent number US 133236 was granted on November 19, 1872 to Royal H. Lyon for an “Improvement in apparatus for the display of masonic emblems”. This device was an early day picture projector that could show various slides for use in the Masonic lectures. 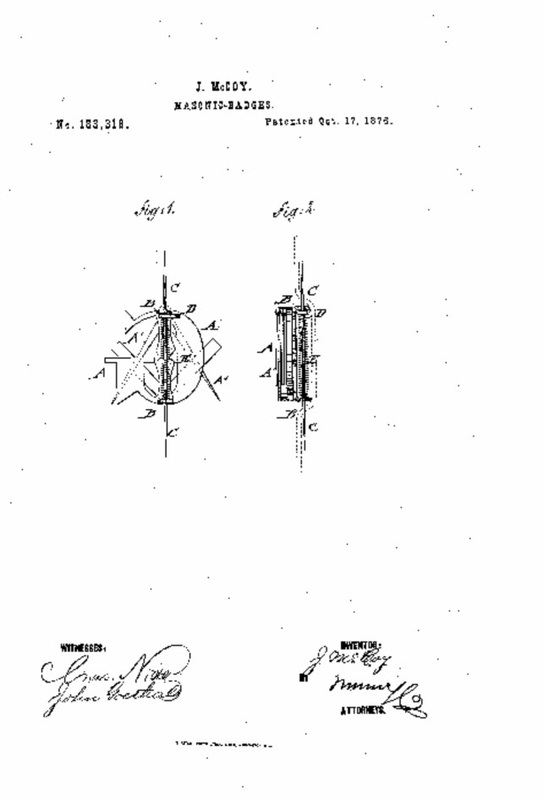 James McCoy of Ypsilanti, Michigan filed a patent for “Improvement in masonic badges” on March 25, 1876 and was granted patent US183318A. His patent would allow a square and compass badge to be moved up and down a pin, with the badge position being used to indicate the position the member held in the lodge. 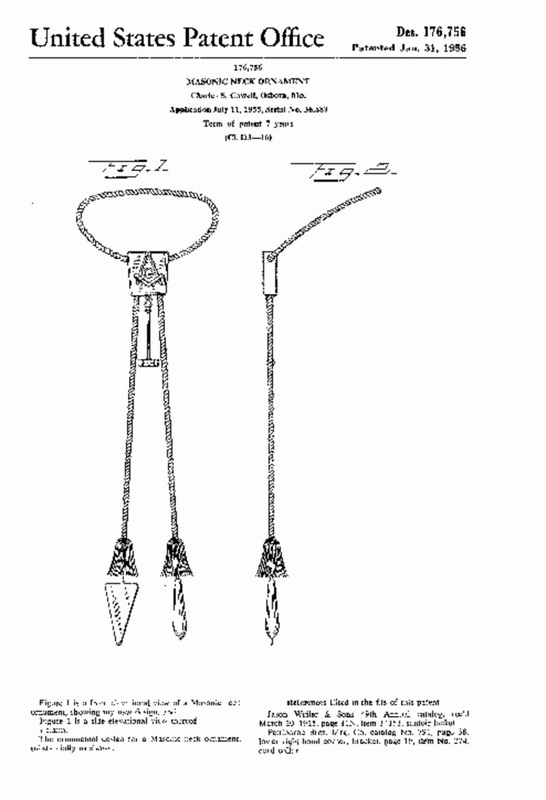 Perhaps you have an idea for a new Masonic neck ornament as Charles S. Cowell did on January 31, 1956 when he was granted US patent USD176756S for his design of masonic jewelry. 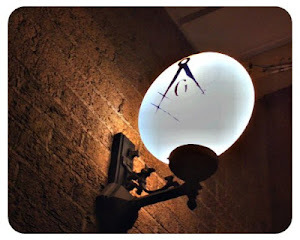 Our Masonic brethren have always been creative and builders of ideas. So the next time you are sitting in a lodge meeting and you find your mind wandering during another thrilling session of the reading of the minutes and paying of the bills, you might think of an invention that would be the next greatest advancement for the fraternity.